Two federal correctional officers say the government shutdown is putting a strain on their lives at work and at home. TUCSON, AZ (Tucson News Now) - It’s a shutdown struggle being felt right here in Southern Arizona. Two Tucson families said they are frustrated and worried about their finances, with the federal corrections officers feeling like a ‘pawn’ in politics. “It’s our livelihood, it’s our families. We’re on the front line everyday on the war on crime, and this is something we shouldn’t have to go through," said Richard Hernandez, a federal corrections officer and Local #3955 Vice President. Hernandez has worked at the Tucson Federal Correctional Institution off Wilmot Road for more than a decade. He, along with William Stokes, are two of hundreds of thousands of Americans working without pay. “Me and my wife have planned our basically the next 21 days on a budget of non-existent paychecks coming in," said Stokes. The men said they received their last paycheck on December 29th, with that money having to stretch after the holiday. “Every day that goes on becomes more of a reality and things that we didn’t consider would happen being a federal employee, having a secure job, those are all things we are having to consider," said Hernandez. These two said they are not alone in feeling helpless. In leadership roles for Local #3955, they said they have heard from some of the 400 employees who they represent from the prison complex. Two Tucson Families are feeling the #GovernmentShutdown, with husbands who are federal corrections officers - working without a paycheck. “Who is going to help us when we can’t buy groceries, who is going to help us when we can’t put gas in our car to make it to work that we are required to do? Who is going to cover tuition, birthdays, sporting activities and all that stuff as it comes up because the more we go, the more you have to cut out, said Hernandez. They are hoping for a light at the end of the tunnel. But, the reality is life doesn’t shut down, when the government does. The men said if the shutdown doesn’t end by Tuesday, they will miss another pay period. “This right now is just the beginning of it, this is only effecting federal employees right now. In another two weeks, medicaid, medicare, food stamp benefits for the very unfortunate people are going to run out. They are playing with people’s lives, you can’t do that," said Stokes. Hernandez and Stokes are asking for folks to call their legislators in support of of federal workers so the shutdown can be over. 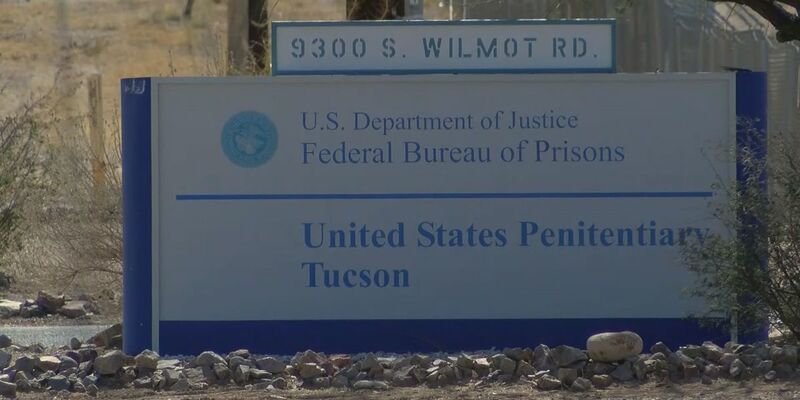 We reached out to the Federal Bureau of Prisons for more details on how many employees have been impacted at the Tucson facility.